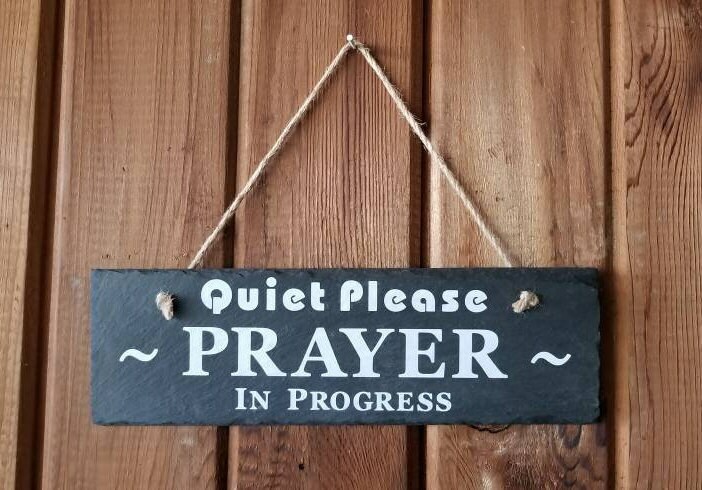 This functional slate sign measures approximately four inches by 11 inches. 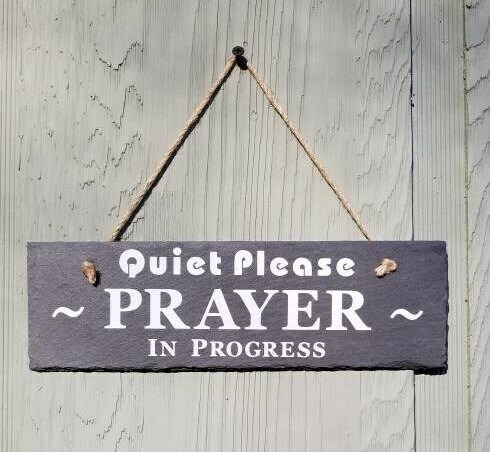 A perfect addition to your prayer group, Sunday school class, Chapel door, or even your personal war room. 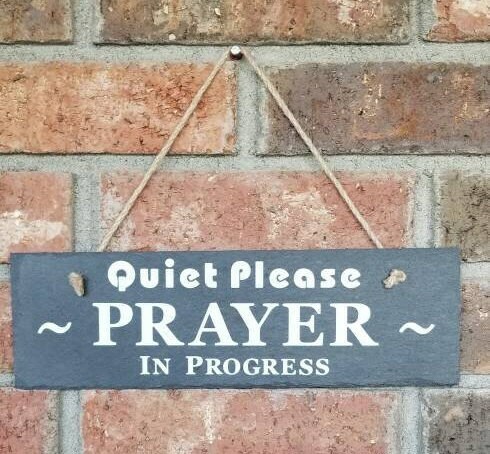 Don't be interrupted again when you are trying to pray, simply hang our beautiful slate sign outside your door to alert your friends and loved ones that you are in need of some peace and quiet and will be available again shortly.